Join Now! Starter Membership is FREE! Kidmin Talk #118 - Karl gives his personal review of the new Pilgrim's Progress movie that is coming out April 18th and 20th, 2019. Was it too scary? Why should you go see it? After a screening at his church, Karl shares how well it was received and gives some sneak peek highlights of the film. Is it worth the stress to run a VBS each year? Who is Responsible to Disciple my Kids? Who is Responsible to Disciple my Kids - the church or me? Be sure your kids experience these 4 basic truths evey Sunday. What do you do when you're caught between organization and creativity? Videos are fun, but live teachers are better... even the bad ones! Easter Scripture Readings in a whole new way! Read the causes of unruly kids during and after divorce. Have fun this Easter by changing up your egg hunt! Here are some key principles for managing difficult behaviors. 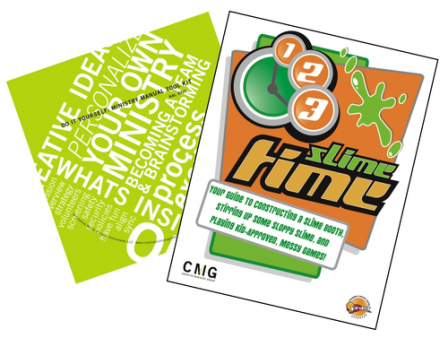 Don't Miss Your FREE Creative Ministry Group Downloads! Included in this month's Booster Pack! This month only, enjoy $37+ in free downloads from Creative Ministry Group! 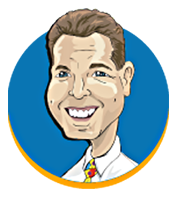 This month's SUPER BOOSTER BONUS comes from Kal Otis of Creative Ministry Group. Along with your Booster Pack this month, you will receive a download of Kal's Do It Yourself: Ministry Manual as well as her 123... Slime Time 20-page guidebook. These downloads are completely FREE…No strings attached. You'll receive this $37 value at no additional cost when you purchase the April Booster Pack! Also, don't miss the savings now through the end of April. Save 30% on Kal's download products when you use coupon code 123SLIME!